Luxury experiences. Romantic escapes. Family time. Culinary delights. Creative exploration. Balance and inner peace. Explore your passions in the Dolomites – on and off the trail! Hiking, biking, climbing, skiing, snowshoeing… that’s what we love to do in the Dolomites... but there’s so much more! Here at Dolomite Mountains, we offer Specialty Trips where you can engage in the same incredible outdoor activities available on our regular trips, but with a specific focus that is of most interest to you! Romance? Luxury? Family? Photography? Food? Yoga? We have it all ! Want to reconnect with la famiglia? The glorious Dolomites were made for family vacations, with unlimited hiking, biking, rock climbing, and skiing opportunities for all ages – kids, parents, grandparents, and even great grandparents! Looking for the perfect romantic escape? Whether you're just married, taking a second honeymoon, or looking for a couple’s retreat, we'll pamper you endlessly and cater to your every romantic need! More focused on food and wine? Then our gourmet adventures are just the ticket! 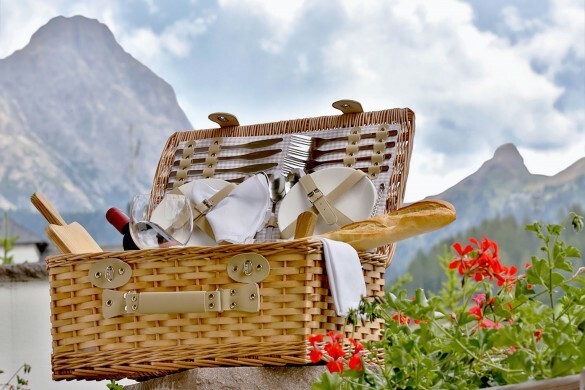 Savor the adventure of the magnificent Dolomite Mountains with refined Northern Italian cuisine, paired with fantastic local and international wines throughout, plus cooking demonstrations and hands on classes! Craving some extra pampering? On our Luxury Experiences we meet your every expectation with lavish accommodations, decadent services, and gourmet dining throughout your trip. Passionate about photography or videography? We offer both group and custom photo and video trips to help you develop your eye and your creative style. Want to get centered and reconnect with your inner self while you experience these glorious mountains? Indulge your inner spirit and join a yoga trip! What passion will you explore with us? Please contact us for more information on booking your specialty vacation in the Dolomites.